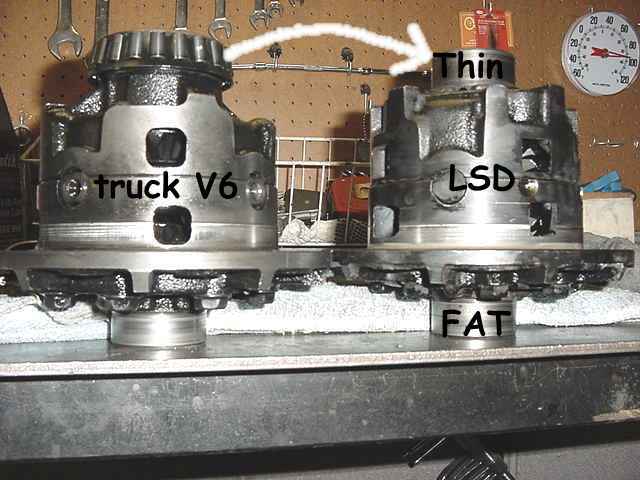 David wants the LSD on the left installed in the V6 on the right...the V6 happens to have the factory 488 thin gears but the LSD will go into most any truck V6 from about 88~95ish. 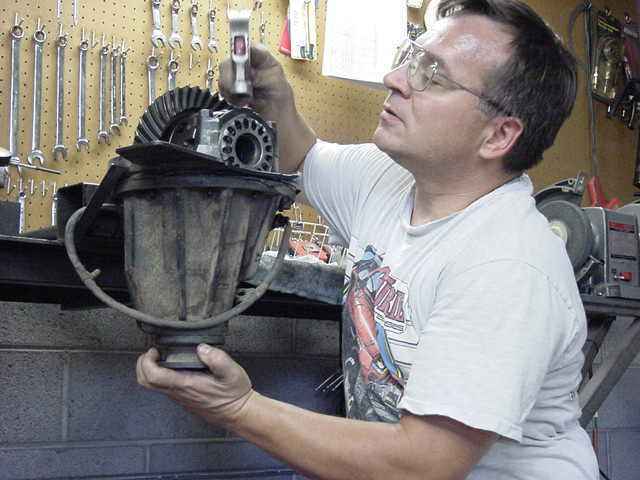 This particular one is out of his 1995 V6 Runner. The very first thing I noticed is that there was no carrier bearing pre-load at all. I use the one finger test....if I get movement by just using a finger then there is no CB pre-load. No pre-load means no strength....means ring deflections....means teeth will fall off the ring like autumn leaves. I only needed one measurement before swapping the LSD in.....backlash. 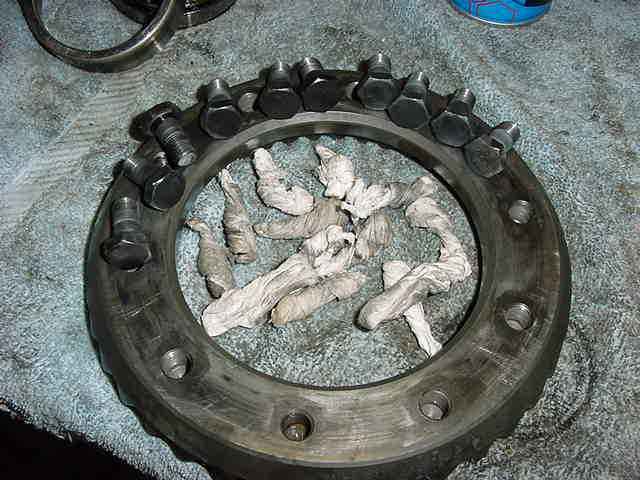 I needed to know what BL the ring and pinion were burned in with. I wrote it down someplace where I would not forget. 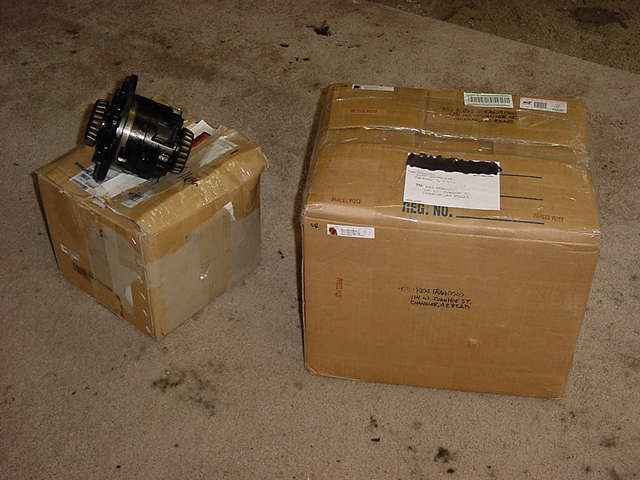 The carrier bearings on the LSD were damaged....and the cups were missing so I fortunately had a spare Supra fat bearing left over from Stace's job (FYI- Supra fat bearing genuine part number is 90366-50001). 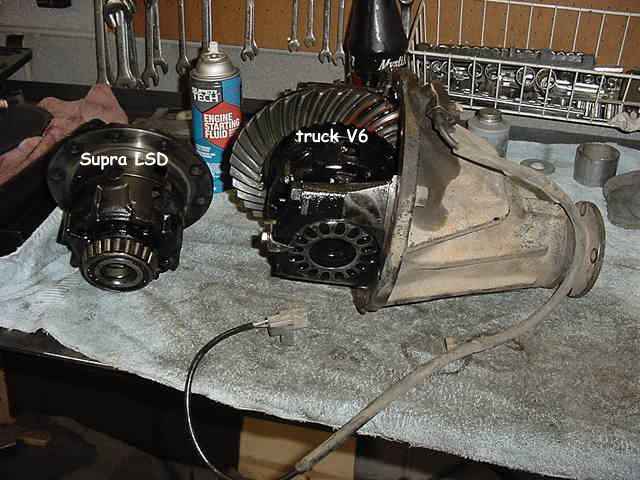 A quick inspection inside the LSD revealed all was good. 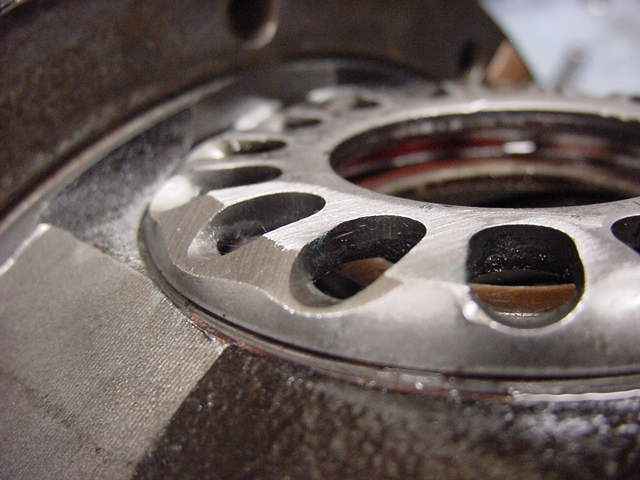 Metal clutch plates really hold up well. 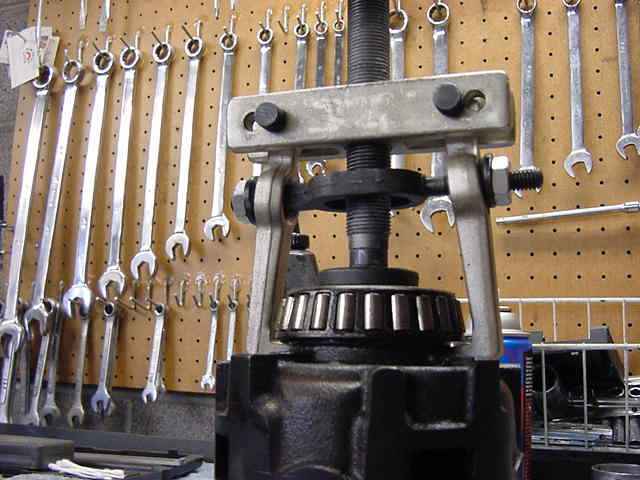 By the way, this differential bearing remover/puller is about the best 60 bucks I've spent. 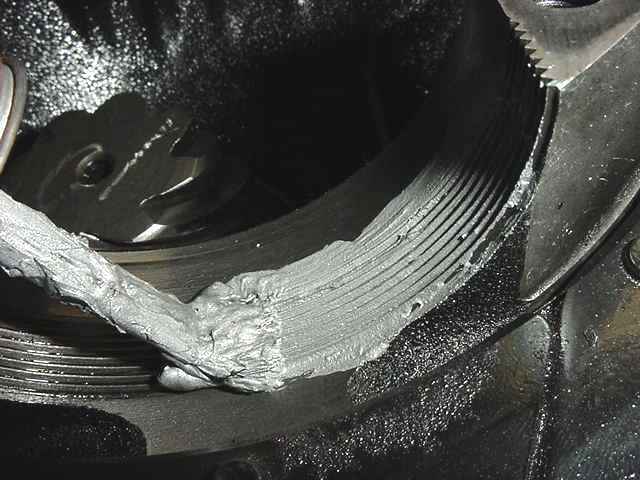 The pinion wasn't loose and felt smooth so there was no reason to disturb it. 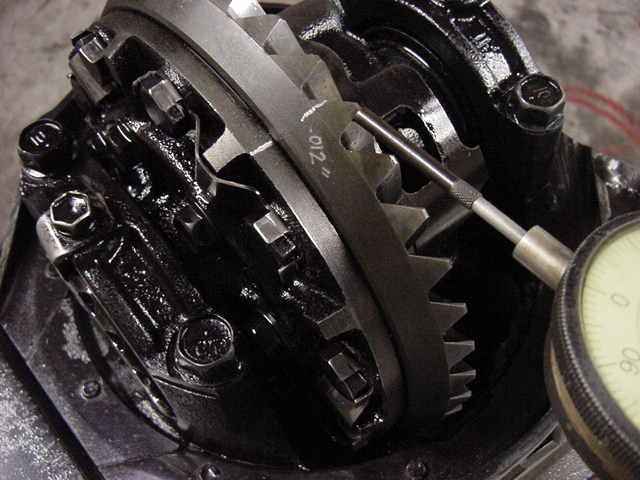 Truck diff on the left.....Supra on right.....the ring gear mounting surfaces are real close but due to the extra distance the carrier bearing presses on on the lower right means a "fat" bearing needs to be used there to get the ring gear up against the pinion again. 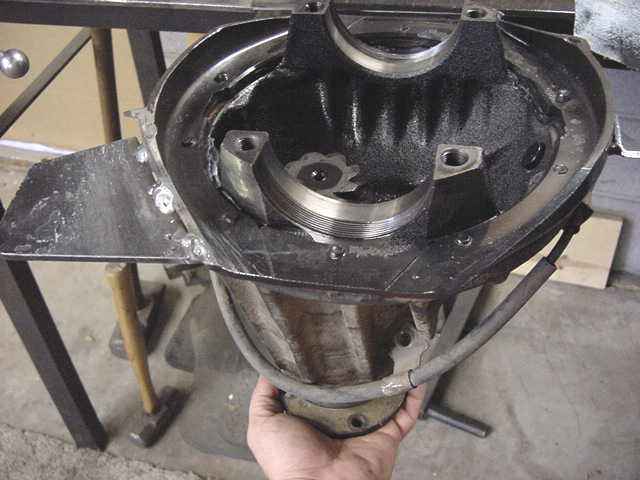 That's where the Supra bearing is needed. This avoids any kind of machine work that was mentioned in some other articles. I always use Blue Loctite on the ring gear bolts.....so the threads have to be clean. I use starting fluid and chunks of paper towel for this procedure. 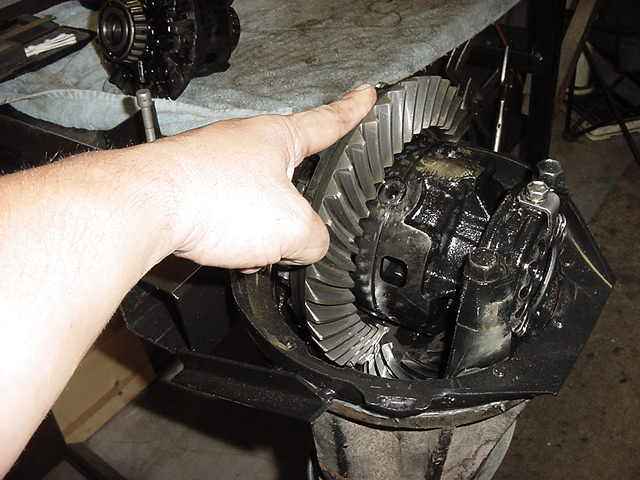 It's just so much easier getting the carrier bearings TIGHT with the use of anti-seize. Thread resistance/friction is reduced and the spanner wheels snug up much better. I like leverage. I will get these tight....I just know it! This is a little 'secret' for letting the bearings "find their set". By carefully tapping on top and rotating the pinion at the same time, the tension and the rollers will find their natural position. If this is not done then BL and CB pre-load may shift 100 miles down the road.